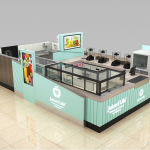 A lovely juice kiosk, a fashionable juice kiosk, a noble juice kiosk. Hi, dear friends, how is every thing going? 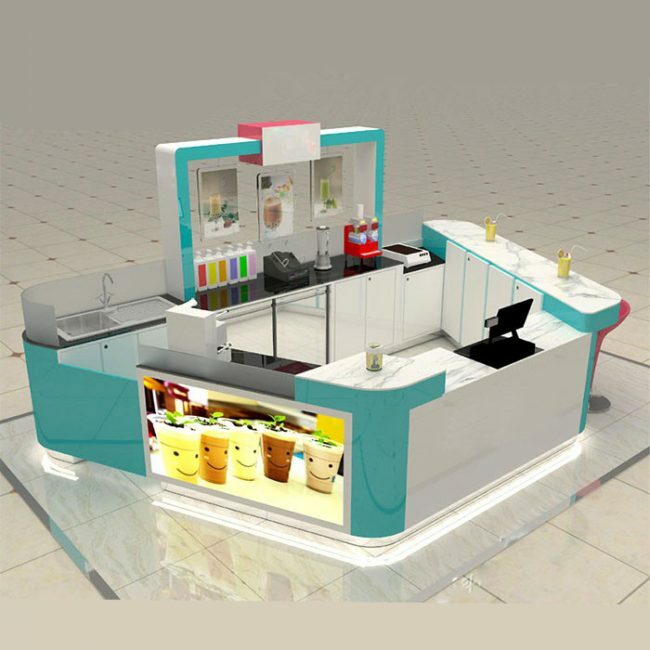 welcome to our website, are you looking for a juice kiosk, if you are, I want to introduce you a juice kiosk, the juice kiosk is very fashionable and charming, I believe you will like it. Let us see its beautiful images first. 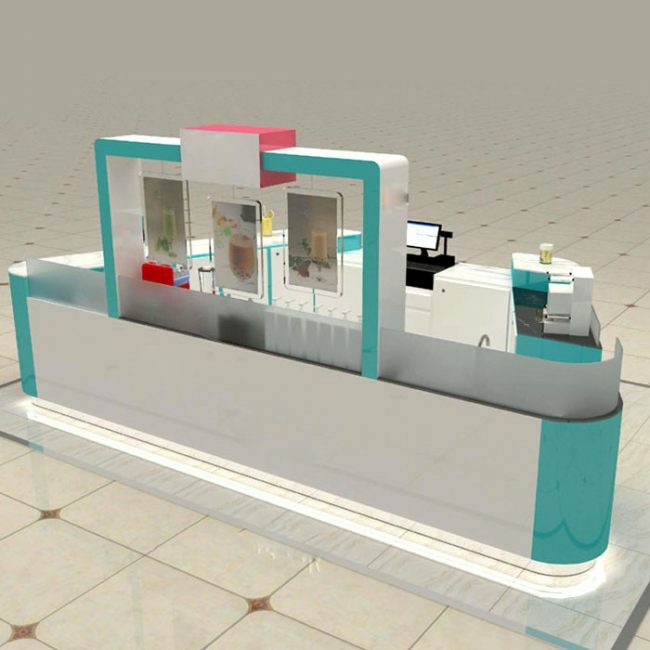 The juice kiosk has smooth white desktop, there are many cabinets in its interior, we can used them to put many things, color is white and blue, of course, if you want to other color, please tell us, we will custom-made it for you. if you want to put some logo on it, we will try our best to put them on it. 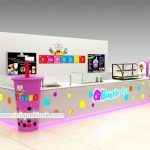 The juice kiosk has exquisite workmanship, perfect layout, all right specification, unique and fashionable design, durable materials, glossy interior and veneer,most of all, we can custom-made it according to your need. Size: we can customized accoreding to your shop size. Surface :white and blue paint finish. 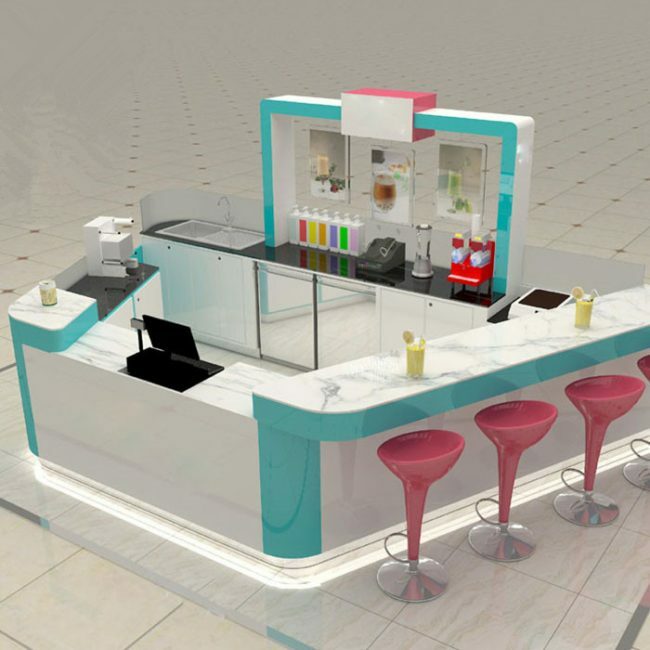 you can tell us the size you want, the color you like, the style you want, then we will according to your need to make the design, if you have any question with our design, we will correct it until you satisfied our design, in other words, you can decide the design of our juice kiosk. we will try our best to creat a unique and satisfying design for you. one, we are direct manufacturer. We offer the cheaper price than the trading company. two, comparing with the industrial company, we can provide more competitive price. three, we will charge you the most reasonable price, we will not deceive you. one, if you contact us, we will give you patient service, and respond you at first time. two, if you have any question with our juice kiosk, we will do our best to solve them. three, we welcome your messages at any time, and give you the best service. four, we will according to your ideas to make the design. five, we will try our best to let you satisfied our service and products. At last, welcome your inquiry, at the same time, thanks for your browsing, if you want to know more information, please contact us, we are looking forward to your inquiry.have a good time.